So I absolutely love food, and judging from my blog you probably didn’t know that. I especially love easy homemade recipes that don’t take too long are full of fresh wholesome natural and from the earth food. I thought I would start a series on my blog and commit to the next 4 weeks. Posting one recipe a week. 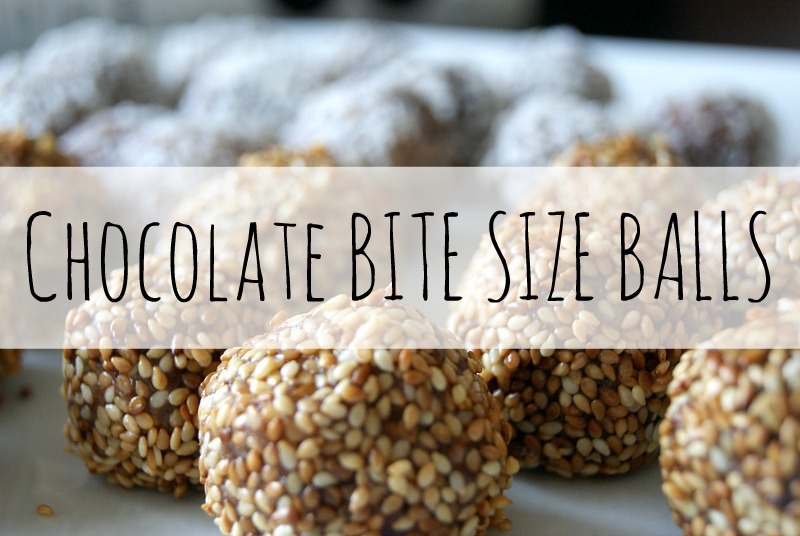 This will be my first one, on how to make bite size chocolate balls. I hope you enjoy seeing a little snippet of what we like to eat here in our home! 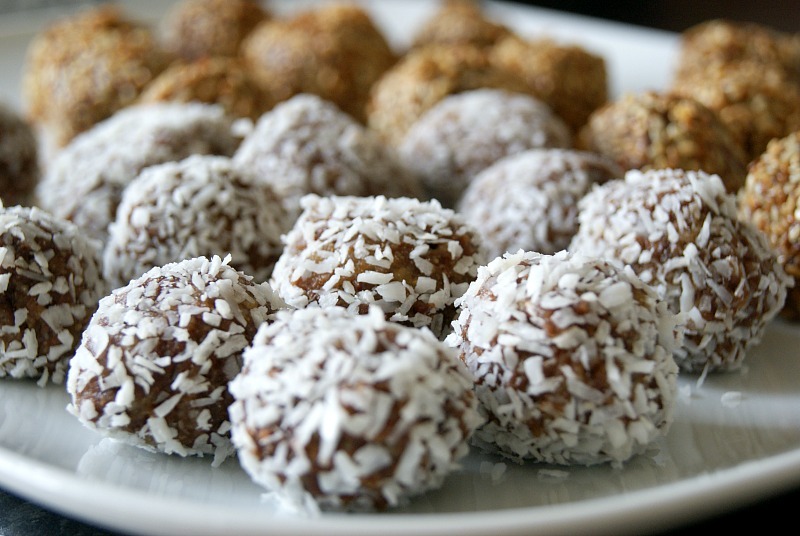 Last year when I did a Reiki Attunement one of the lovely ladies brought in some homemade healthy chocolate balls coated in decanted coconut. They were so delicious I have been meaning to make them ever since! Here is the recipe I used, the method and of course some pictures to go with it. 1. Firstly I took the pips out of my dates, I used Sainsbury’s taste the difference dates, but you can buy any dates. The Sainsbury’s own ones are good too. I put all the dates into the processor. 2. 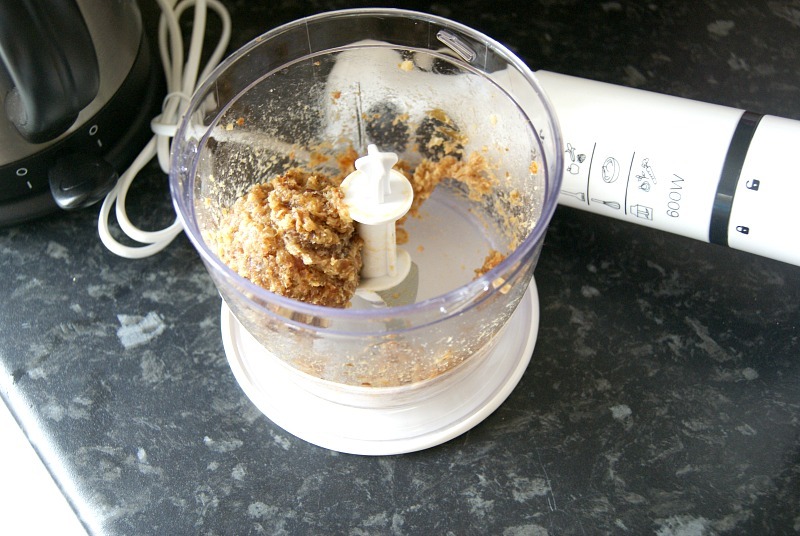 Transfer the processed dates into a small bowl (my processor was too small to add all the ingredients in) add the rest of the ingredients and mix. 4. Roll the mixture into many balls and roll on coating of your choice. I rolled half in coconut and half in the toasted sesame seeds. The sesame seeds I bought un-toasted. To toast I put them on the pan and fried them, they turned a lovely golden colour. I have to say the toasted sesame seeds were my favourite! So delicious. I made 28 bite size balls from this mix. It depends on the amount of mixture you use I suppose. They are a great snack and you can add or eliminate as many different ingredients as you would like. The processor I use is actually from Lidl if you are wondering. It was roughly £15 and if you can see from the quality of the balls it actually did a fantastic job at processing the dates, as they become quite sticky. Next time I am going to try chia seeds in the mix and some sultanas and raisins. These can also be kept refrigerated for roughly 5 or so days as all ingredients are fresh. 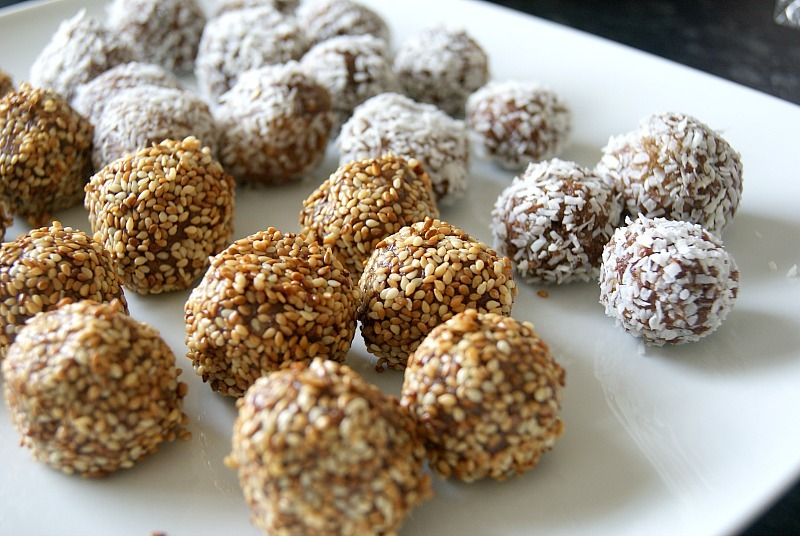 Great healthy alternative, and taste divine, just as good as chocolate. Easy to make too! 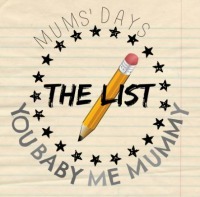 Lisa (@itsablogslife blog) recently posted…My Must Haves When Out & About! Oooo these look super yum! Now…I have a bit of an aversion to dates…however you may have convinced me to try baking with them again as these look toooooo good! And I LOVE coconut too, so we are onto a winner!